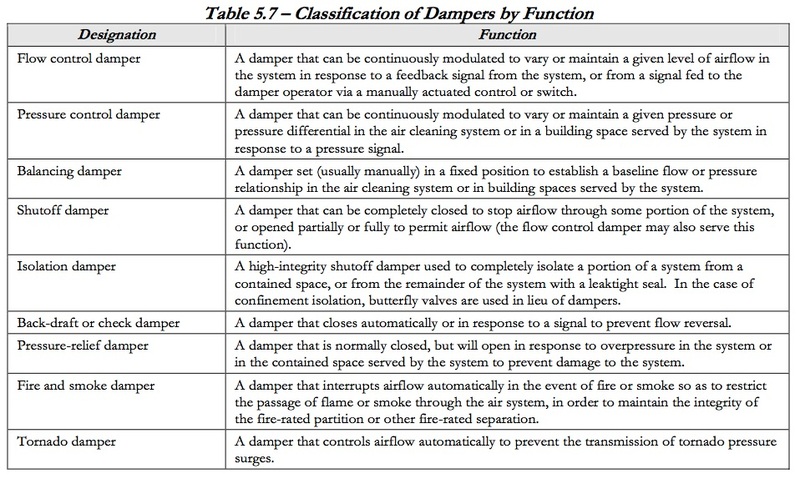 By definition, a damper is a device used to control pressure, flow, or flow direction in an air or gas system. Different types of dampers can be used, depending on specific functional requirements. 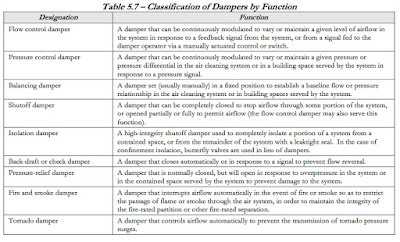 Table 5.7 below lists the types of dampers and their functions, and Table 5.8 lists the damper configurations. 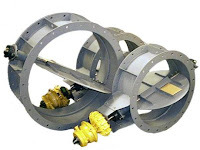 Selection of the proper damper type and blade configuration is important to achieve the required damper performance. The type and configuration of damper can significantly impact pressure drop, leakage rates, and controllability. 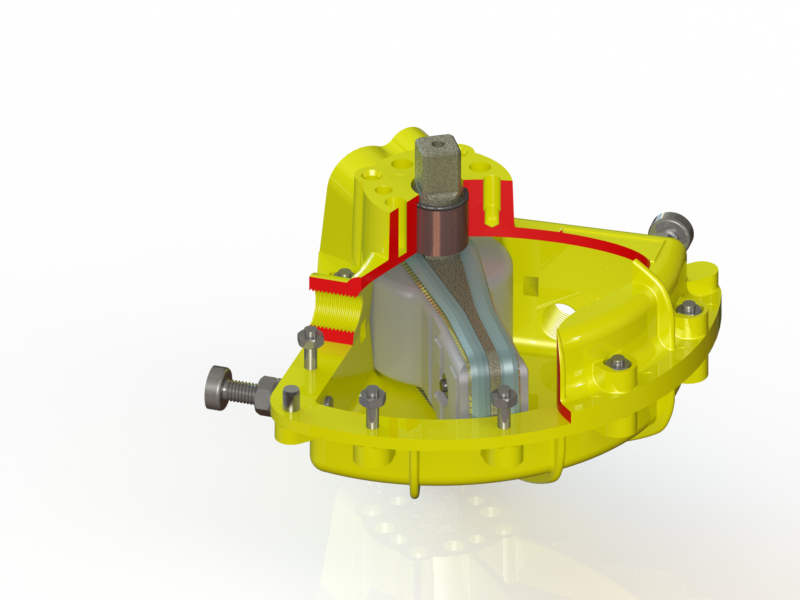 A very important part of damper design is determination of damper torque and sizing and selection of damper actuator for the maximum torque. Actuator torque should be selected for a minimum of 1.5 times the damper maximum torque to provide margin and allow for degradation over the life of the damper. 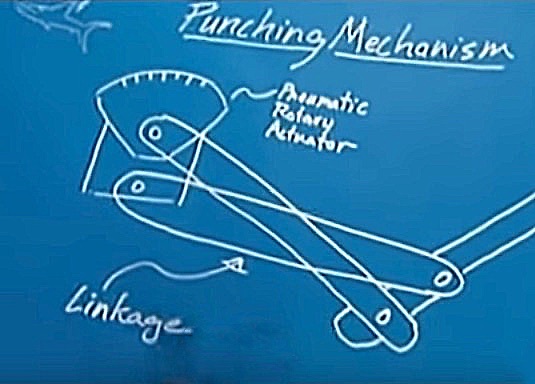 Actuators should be evaluated for damper blade movement in both directions, at the beginning of blade movement, and while stroking blades through the full cycle of movement. Damper operators can be one of three types: pneumatic, electric, or electro-hydraulic, as described below. Pneumatic. These damper operators are used whenever controls rely primarily on compressed air (pneumatic) for moving operators or transmitting control signals. Electric. These damper operators are used whenever controls rely primarily on low voltage electric circuits to transmit control signals. 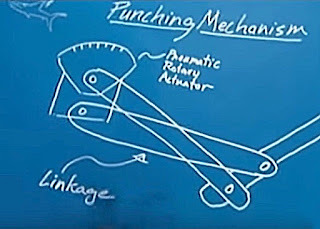 Electrohydraulic. These damper operators are the same as the electric type described above, except they have the ability to modulate. 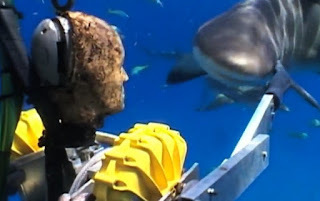 They use an electric control signal to position a hydraulic system that, in turn, positions the damper. Damper drives on round dampers. Precise, smooth signal to movement response. Excels in harsh, high-temperature operating environments. Effectively zero air consumption in resting state. 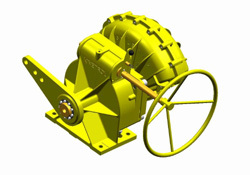 For more information on any damper drive application, contact Kinetrol USA at 972-447-9443 or visit http://www.kinetrolusa.com.